Congratulations to the "taz" building! The newspaper "taz" has a modern and energy efficient new building that changes the cityscape at the south side of Friedrichstraße. 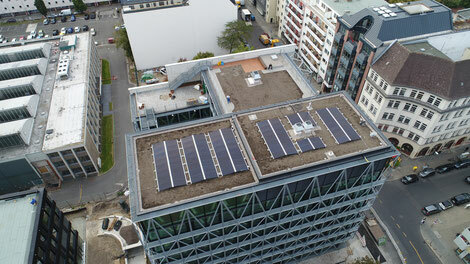 Not to be seen from the street is a PV system on the roof which was realized by Solarpraxis Engineering. Since April 20th 2017 our long-term assessor for glare incidents is recognized by the IHK Berlin (chamber of commerce Berlin) as an expert for glint and glare caused by reflected irradiation (especially PV systems). 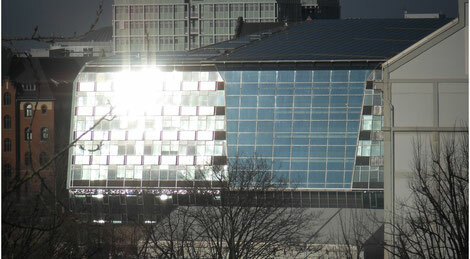 He does not only assess PV power plants, also glass facades can cause glare. We are using the proE-Surveysoftware for remote control, maintenance management, reporting and more.